Below, we have much to share with you about new teachings made available to you in November from the Archive. Thank you so much for your continued interest and support. We have just posted a translation and short commentary by Lama Zopa Rinpoche on the meaning of the eight auspicious signs and how they can be used for success. It was dictated to Ven. Sarah Thresher at Root Institute, Bodhgaya, India, on February 4, 2014. Read a talk on Transforming the Mind in Everyday Life, given by Kyabje Lama Zopa Rinpoche in Adelaide, Australia, on August 2, 1991. In this teaching Rinpoche talks about the purpose of our life and how to develop a positive attitude, and gives advice on searching for the I. You can read an excerpt from this teaching as our eletter teaching below. You can also read the prayer for the quick return of Geshe Lhundub Sopa Rinpoche, composed by His Holiness the 14th Dalai Lama. Geshe Sopa, Abbot of Deer Park Center in Wisconsin, passed away in August. Read advice from Rinpoche where he discusses the reasons for giving up alcohol, cigarettes and other addictive substances at a Dharma talk in Bendigo, Australia, in August 1991. Read more advice from Rinpoche regarding Addiction in the Online Advice Book. In reality by just walking around a stupa even one time, so many eons of heavy negative karma collected from beginningless rebirth gets purified and we collect extensive merits every time we go around it. That makes it possible to achieve enlightenment. Read also a letter from a student writing to confess that he had negative, harmful thoughts when hearing Rinpoche speak; and advice from Rinpoche that when teaching Dharma, the main emphasis should be on the good heart and benefiting others. For our friends in the US who are celebrating Thanksgiving this week, it is always good to remember the Rinpoche's advice for this holiday. Read a letter Rinpoche wrote to the Sangha of Sera as dedication for pujas they did for all the turkeys killed for Thanksgiving, and Rinpoche's thoughts about this holiday. Last week we sent you an email about our annual year-end appeal. 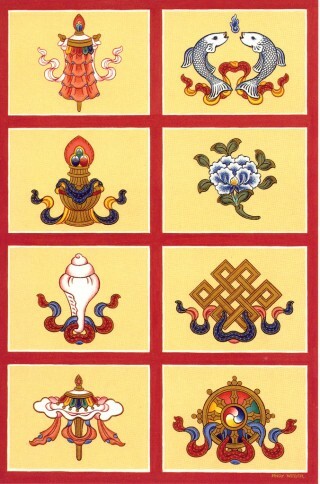 Our sincere thanks to those of you who donated during Lhabab Duchen to give us an excellent start to this year's appeal. To date we have raised over $6,000 towards our $50,000 goal. We have much to rejoice in after a very successful year of fulfilling our mission to bring you the teachings of Lama Yeshe, Lama Zopa Rinpoche and other great lamas of our time. This year saw the publication of many new ebooks and the start of our first ebook only series of teachings from Kopan. Our website continues to grow by leaps and bounds and we are hard at work on a new and improved website design. We have begun to post many new videos to our YouTube channel and this year we more than doubled the number of people we share the teachings with daily through social media outlets such as Facebook and Twitter. We could not accomplish our work without each one of you. Together we bring the precious Dharma to tens of thousands of people every month. Supporters like you are our partners in this amazing work to benefit all beings and bring peace to the entire world. • Donors of $1,500 or more will receive a limited edition of large-sized print of Lisa Sawlit's spectacular portrait of His Holiness the Dalai Lama, which have been numbered, signed and sealed by the artist. Your donation will also allow you to become a Member of LYWA, with all the amazing benefits that membership brings, including access to the entire LYWA library in digital format. • Donors of $1,000 or more will not only become full LYWA members but will also receive an 11 x 14 matted print of Lisa Sawlit's portrait of His Holiness the Dalai Lama or you can choose any one of the images in our special donors' gallery. • Donors of $500 or more will receive an 8x10 print of your choice from our special donors' gallery, in an 11x14 mat. • Donors of $100 or more will receive a 4x6 laminated print of Lama Yeshe and Lama Zopa Rinpoche together, like the one shown above. • And, all donors of $50 or more may also choose to receive a free book in print or any one of our publications as an ebook. Please make your donation today! We appreciate your support of the Archive so much and rejoice together as we continue to bring these precious teachings to the world. On October 30, 2014 the LYWA staff traveled to Boston to attend a teaching at the Citi Wang Theatre by His Holiness the Dalai Lama. More than two thousand people were present for the teachings, including a contingent of about 650 Vietnamese and numerous Sangha representatives. It is significant how His Holiness demonstrably embraces all who choose to listen to his words, without showing preference to any group. Thus he continues his strong wish to unite all humanity under his umbrella of wisdom and compassion. (Tadyatha, Gone, gone, gone beyond, way gone beyond (awakened) so be it). His Holiness continued to teach on how to realize emptiness as done through embracing the role of a Bodhisattva. The way of the Bodhisattva is perfection of the mind using the Eight Verses of Mind Training; the way of the Bodhisattva is unconditional love and wisdom through selfless dedication to this path of perfection. Feeling extremely fortunate, we have returned to the Archive and hold this teaching close to our hearts, while we continue in this glorious work of providing the Dharma to all. How fortunate are we to hear the words of the Buddha through the lips of the incarnate Buddha of Compassion. You can explore many more teachings by His Holiness on the LYWA website. This month at LYWA we were very happy to host old friends Ian and Judy Green of Australia's Great Stupa of Universal Compassion and Jade Buddha for Universal Peace. At the same time we also hosted Tom Laird of the incredible Murals of Tibet project. These are three of the most amazing Tibetan Buddhist projects in the world and it was wonderful to have these great people with us. Please see their respective websites for more information. And don't forget when you do your holiday shopping on Amazon to shop through smile.amazon.com. First select LYWA as your beneficiary and then everytime you shop Amazon will donate 0.5% of the purchase price to Lama Yeshe Wisdom Archive. It’s a great and easy way to channel more support to the Archive! I'm happy to meet all of you again. The subject is introduction to tantra, right? Well, I don't know anything about tantra, so I don't know what to introduce. Maybe I'll introduce something else, a non-existent phenomenon. Everybody wants happiness and does not want problems or suffering. I think that if you want to be happy, it's very important to know how to enjoy life. If you know how to enjoy life, whether you are a prime minister or a porter, a millionaire or a beggar, you will find happiness in every situation. If you know how to live your life and you understand the methods to apply, you can make your life happy. Your mind, or mental continuum, has all the potential to apply methods that can make your life really happy, peaceful, and satisfying, but this depends on your actions in everyday life. Whether you are a prime minister or a porter, a millionaire or a beggar, whether you live alone or live in a city with many people, whatever the situation, if you know how to live life, there's always a way to make your life happy and to find satisfaction and peace. It all depends on your daily activities—on what you do and how you think. The main thing is your attitude in life. Everything depends on your own mind. If you create one concept, you will find problems in your life. With another concept, the correct way of thinking, there will be no problems in your life; the problems won't exist. You won't find any problems in your life. So, everything depends on your own mind. Problems come from your own mind and happiness also has to come from your own mind. It is not that problems come from your mind and happiness comes from outside. Both come from your own mind. There are people who are very smart, well-educated and professional, who have studied how to run a business at university, but they cannot find a job or even if they have work, they are not successful and are always experiencing problems. And there are other people who don't have any education but have an easy life, with everything happening according to their wishes. They are successful and find whatever they are looking for, wealth or whatever. There is a reason why the first group are having failures in their lives; why other people don't employ them or help them. There is a reason why these people experience difficulties. It looks as if the difficulties come from outside, but it's not like that. When we are not aware of the reason and do not analyze deeply, it looks as if the problems come from outside, but actually the problems come from their own mind. There is a reason why, even though some people are educated and so forth, they are not succeeding in business, or an employer helps other people but doesn’t help these people. There is a reason for this, and this reason is the cause of their problems. The reason why they meet undesirable objects and experience loss in their life is created before experiencing the result. The reason or the cause is in their mind. Having a positive attitude, such as the altruistic thought to help other sentient beings and not harm them, is the cause of success in life. Even though some people might not have much education, they have no difficulties in life; they are wealthy and have harmonious relationships, and whatever they wish for happens. The reason for this is the cause created in the past. This is the actual evolution; this is where their happiness comes from. But when we do not analyze, when we are not aware, it looks as if success came from outside and does not depend on their mind. It’s the opposite for people who are experiencing difficulties in their life. Their actions are motivated by ill will, jealousy, selfishness, dissatisfaction, desire, ignorance, anger and so forth, and their problems and difficulties result from that. Even though this is the actual evolution, when we do not understand or are not aware of karma, of action and result, it appears as if success and difficulties come from outside. We may have heard of karma and sometimes talk about it or meditate on it, but we are not aware of it in our everyday life. Happiness and success in life depends on transforming the mind, on making the mind better. Through that our actions become better; it depends on developing a positive attitude. Our mental continuum has all the potential to be completely transformed into the right path; we can completely purify all the negative imprints left on our mental continuum by our negative actions, which produce the problems in our life. Transforming our mind makes it impossible to experience the action and the resultant problems. Our mental continuum has all this potential. Therefore, meditation is extremely important in our life. It is the most important method for obtaining happiness in our everyday life. If we think more broadly, meditation brings not only temporary happiness but especially ultimate happiness, the peerless happiness of full enlightenment—when this mental continuum is completely pure, free of every single mistake, even the subtle imprints, the obscurations, and has completed all the qualities, all the realizations. Then we are able to bring everyone else to the peerless happiness of full enlightenment by freeing them from all their problems and obscurations, from their disturbing thoughts and even the imprints left on the mind. We have a fully knowing mind, having completed training the mind in compassion and having the perfect power to guide everyone according to the level of their mind. Just knowing intellectually where suffering comes from and where happiness comes from is not enough. In our everyday life we need to practice what removes suffering and what creates the cause of happiness. This practice itself is meditation. Training our mind in the right path, transforming our mind into the right way of thinking that leads to happiness—temporary happiness and the highest happiness of full enlightenment—is meditation. Meditation is necessary for anyone who does not want suffering. It becomes of the utmost need in life. When we are sick, we go to a hospital to see a doctor and take medicine. Meditation practice is much more important than finding a cure for diseases like AIDS or cancer, which are just one problem of life. There are thousands of problems in life, in samsara. Disease is just one problem, and AIDS or cancer is just one disease from among the 424 diseases. So even if there is a medicine to cure this one disease, it is nothing compared to the value of having a positive attitude and doing positive actions in our everyday life, which means Dharma practice, meditation practice. Meditation practice develops the mind; it completely purifies the mind of all problems and their causes and makes it impossible to experience them again. It makes it possible to achieve everlasting, ultimate happiness. Lama Zopa Rinpoche gave this teaching in Adelaide, Australia, on August 2, 1991. First edit by Ven. Ailsa Cameron; second edit by Sandra Smith. Read the rest of this teaching on our website.